If you are visiting the country of Ghana, you are definitely going to want to visit the Eastern Region of Ghana. You'll find that it is full of very polite and friendly people. I was born in this region and to be precise the regional capital, Koforidua. I'm going to give you more information on this region than any other region on this site. Its about 45mins to 1hr drive from Accra. There are so many automobile forms of transport depending on your budget. You can always get these cars or buses at all the major lorry stations throughout Accra and the other regions. Just ask anybody on the street and you are good to go. The area is split into two main halves by Lake Volta and the Afram River as well. The region is a beautiful one, full of lovely wildlife and beautiful and friendly people as well. 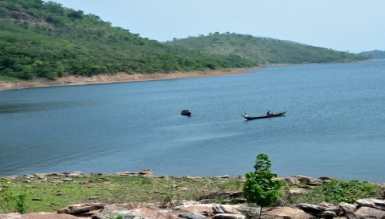 The huge Lake Volta actually dominates this region, and the region is neatly located between the Volta, Central, Brong Ahafo, Ashanti, and Great Accra regions. While the area is well known for beautiful women, known as Koforidua Flowers, there is much more to this region as well. This area of the country is near the lower part of the country and you'll find that there is much to see and enjoy. There are traditional cultures, landscapes that are both beautiful and dramatic, and many historic relics as well. You'll find that this region of the country of Ghana is an enchanting mix of 21st century and ancient Ghana, and it is much like Accra, with many contrasts as well. • The first President of Ghana was Osagyefo Dr. Kwame Nkrumah and you'll find two different monuments of this president in this region. These monuments include the Senchi Bridge as well as the Akosombo Dam, which is the largest electricity generator in the entire country of Ghana. 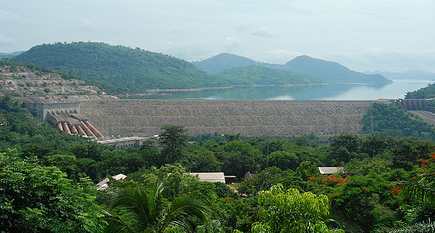 The Akosombo Dam rests on the Volta lake. The Senchi Bridge, which is by the town of Atimpoku links the Volta Region to the rest of Ghana. In the Eastern Region, you'll find that there are many cocoa farms in the area. It was actually cocoa that has taken the Ghanaian economy and totally brought about a revolution in it. The biggest cocoa research centre known as CRIG(Cocoa Research Institute of Ghana) can be found in a small town called New Tafo, some 20miles from the capital, Koforidua. It is a good resource centre for Botanists. 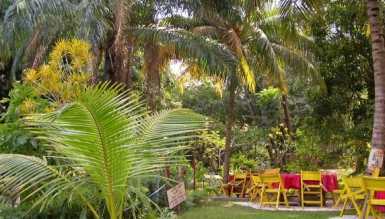 It has recreational facilities including bars and golf courses. * Boti falls; A few minutes drive from Koforidua. A spot good for picnics and other social events. 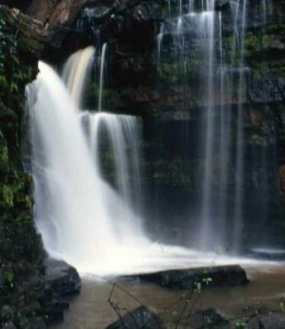 * Begoro Falls; Located in the heart of a magnificent woodland forest. * Akaah Falls; One of the most beautiful in the country with intricate flow patterns. • The Volta Lake; The Volta Lake is one of the largest man-made lakes in the world. It is made up of two rivers- the Nakambe River, also known as the White Volta River, which flows from Burkina Faso. The Mouhoun River, also called the Black Volta River, originates from the same country as the former and also forms a small portion of the boundary between Ghana and Cote D' voire. These two "Voltas" meet to form the huge Volta Lake which flows down south into the Atlantic Ocean. Created in 1965 as a result of the damming of the Volta River at Akosombo, the Lake stretches from Akosombo in the south (at Yapei) to Buipe in the north. Both towns are within an hour's drive of Tamale, the Northern Region's capital. 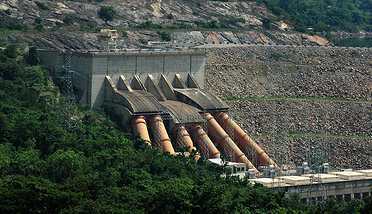 This is the power house of the nation, supplying hydro-electric power to Ghana and some some neighboring countries. The Lake offers a variety of opportunities for cruises, water sports and angling. It also has many fascinating islands and islets, such as Dodi Island, where facilities for excursions have been developed. 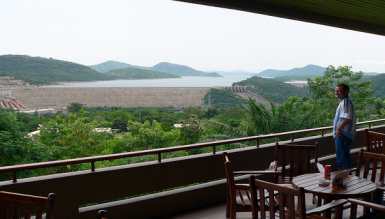 The best place to catch an aesthetic glimpse of the volta lake dam is at the balconies of the Volta Hotel. An agricultural research station and a habitat for plants from around the world since its inception in 1890. I call it the "Garden of Eden". Over the years, the Botanical Gardens have collected together a variety of tropical flora which attracts scores of birds and butterflies. Some interesting species of insects, some large trees in West Africa, and lovely birds that are endangered can all be found in this beautiful garden. Excellent location for birds and butterflies conservationist. About 30mins drive from either Accra or Koforidua and situated in the town of Aburi, which is well-known for its healthy climate, the Gardens also have pleasant indoor-outdoor restaurants and affordable rooms for staying overnight. This virgin forest, located 10km north of Kibi and about 45min from Koforidua, is the magic forest of Atewa-Atwirebu.This natural habitat has over 200 different species of butterflies, birds, ferns and other flora. The"Papillio Antimachus", one of the largest butterflies in Africa are located in this forest. The biggest tree in West Africa is believed to be in this region. This impressive tree is located in the Esen-Epam Forest Reserve in Asantemanso, on the Accra-Akim Oda road, some 90mins from Koforidua. It has a maximum height of about 128m and a girth(width) of about 11m. Also about 30mins from Koforidua, the Arboretum is a protected reserve and a home to over 120 species of birds, some of which are very rare. The protected Arboretum offers them a peaceful place to call home. The herb garden which is located in the Arboretum contains 200 different species of herbs with a wide range of uses, from food to medicinal to aromatic. It is a research centre for the Plant Genetic Resources Centre of Bunso. The only diamond mines that are located in the country are located in the Eastern Region of Ghana and they are found in Akwatia. In fact, it is the diamond industry that is quite important to the economy of the region as well as the country. The mine is usually open to the general public and tourists. Always check with reservations before making any trips. It also has facilities to stay over night. The history is unique in this area. The one time slave market of Abonse was an important slave market in the 17th and 18th centuries. Traces of the original market can still be seen. In fact, cocoa was actually started in the Eastern Region. Tetteh Quarshie was the first one to bring the cocoa seed to Ghana from Fernando Po island and you can still visit his home today. It is believed that 3 of the original cocoa trees dating back in 1879 can still be seen at his farm at Mampong-Akwapim. I mean now! To see Tetteh's farm and home, you have to book an appointment at the palace of the Mampong Chief. Okomfo Anokye was a legendary fetish priest who was a chief adviser and a hight priest for the Ashanti Chief during the reign of the great As ante Empire. He contributed greatly to the formation of the Ash ante Kingdom. He performed so many magical mysteries which can be seen, even as of today at some parts of Ashanti Region. A shrine has been dedicated to his supernatural exploits at Awukugua-Akwapim located 60km from Koforidua or 45min from from Accra. Mysterious phenomena has been attributed to this 18th century fetish priest. Some of his mysteries include his hand and foot imprints, permanently embedded in a solid stone. The "Ware Board" which he reportedly carved from 'stone' can still be seen anytime. Although this region is one of the smaller regions in the country, it has some of the heaviest population found in the country and out of the 10 major festivals that are held within the country, this region has four of them. 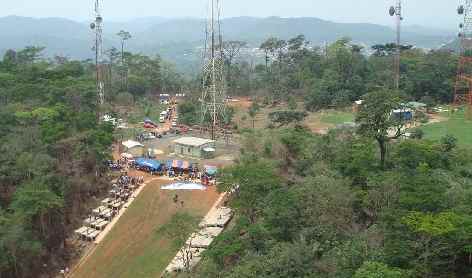 • Para gliding Festival: The para gliding festival was introduced by the Ministry of Tourism and Diaspora relations in collaboration with the Tourism Development Board and the Kwahu South District Assembly in 2005 at Kwahu Atibie. It is held during the Easter festivities and has become an annual festival, which attracts people from all walks of life. • Ngmayem Festival of Krobo: This is the annual traditional harvest and the thanksgiving festival of the Krobo people. It is celebrated in March-April by the people of Manya and Yilo Krobo in the towns of Krobo Odumase and Somanya. • Adae And Akwasidae Festivals: Adae and Akwasidae Festivals are held at the various palaces in Kwahu once every six weeks. It is a big occasion when the sixth week falls on a Sunday. This is practiced by most tribes in the Eastern Region. With all these said, there are other things that might interest you to know. One of the best teacher training colleges in the country is found in the Eastern Region. The Seventh Day Adventist (S.D.A) training college is located at Asokore, 10 mins drive from Koforidua. It has a primary school which I attended for only a year between 1987-88 when I stayed with my grandma in a nearby village called Oyoko. Believe it or not, Oyoko is the largest producer of cola nuts in Ghana, which has many industrial applications including the manufacture of the coca-cola drink and also a major contributor to foreign exchange. Another commodity to talk about in the Eastern Region. So you can see why I love Eastern Region. Nice weather, nice people, "beautiful flowers", close to Accra, many tourist attractions, natural resources and in fact very affordable compared to other regions with less benefits. Come to the East Side when you visit Ghana and you won't regret you did.